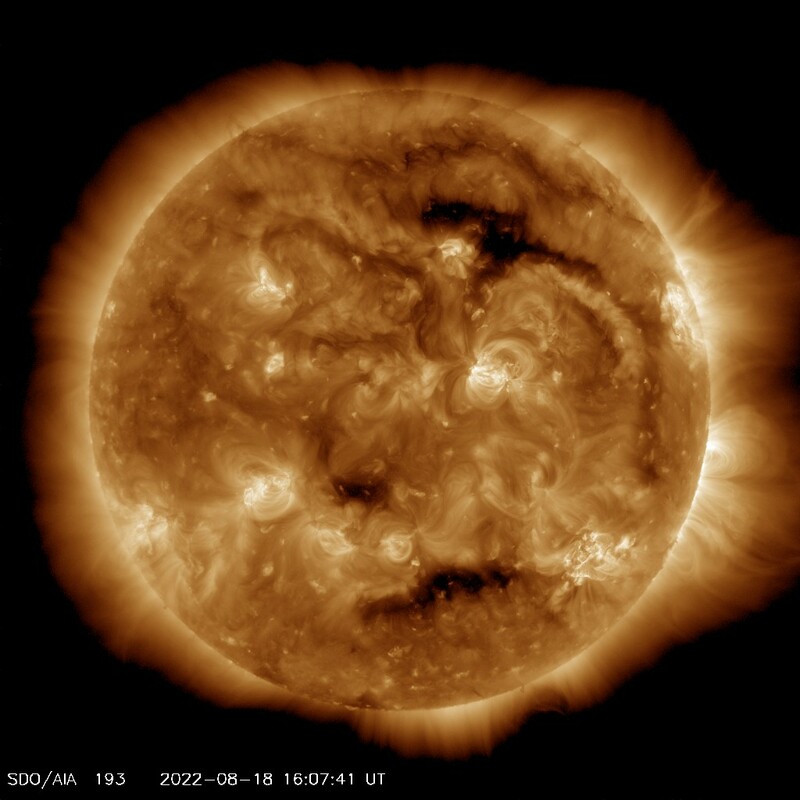 On this page you will find all the information you need to spot any coronal holes on the earth-facing solar disk. Coronal holes are the source of fast solar wind streams which sometimes have the potential to produce minor to moderate geomagnetic storms. If our automated detection system recently detected an earth-facing coronal hole it will also be mentioned on this page.